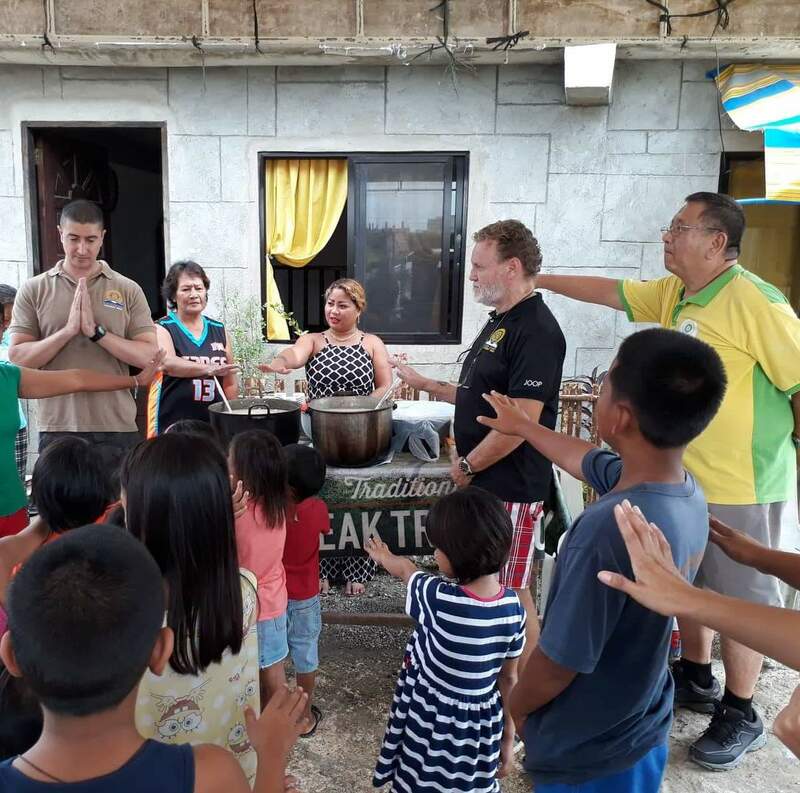 On Sunday June 3 2018, the Rotary Club of Cebu East re-visited the Alumnos barangay in Cebu City to conduct a Feeding Mission. 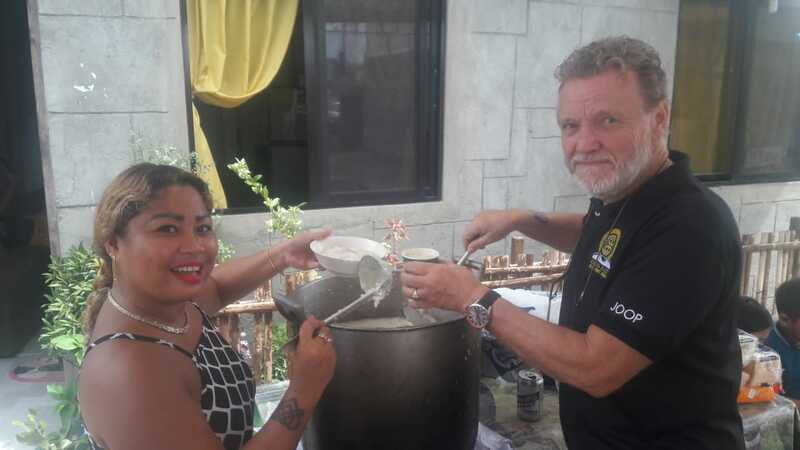 The mission was led by Club Secretary Joop van Kessel and his wife, Racquel. 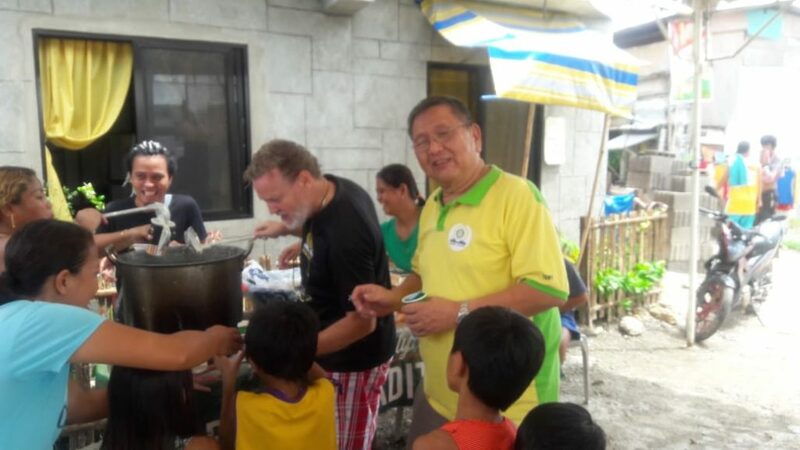 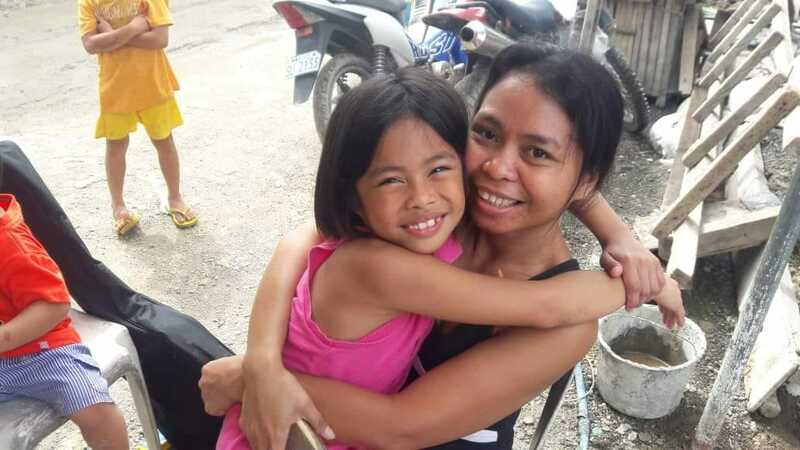 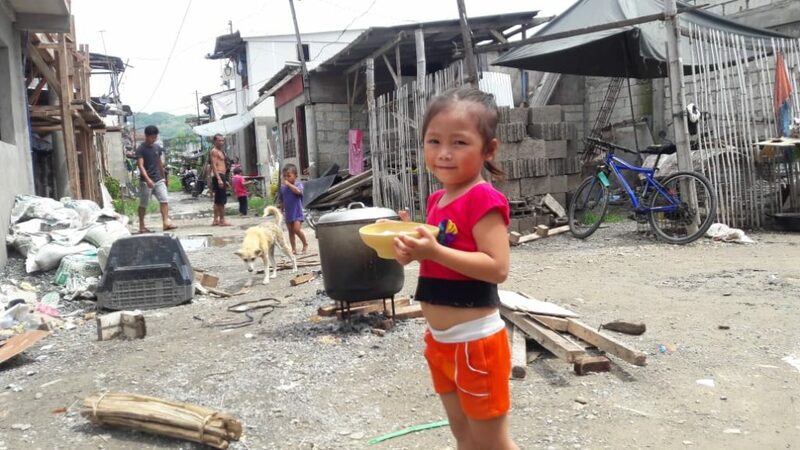 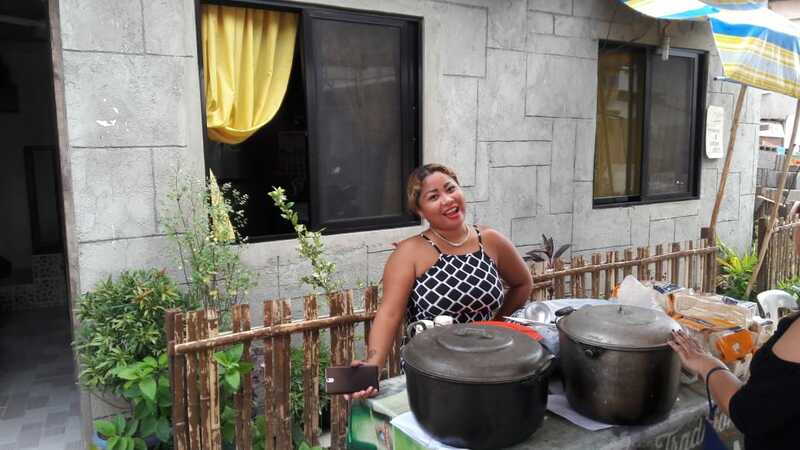 The mission was a highly enjoyable and productive affair, with over 225 people, mostly children, fed with a nourishing porridge-stew as well as pancit noodles. 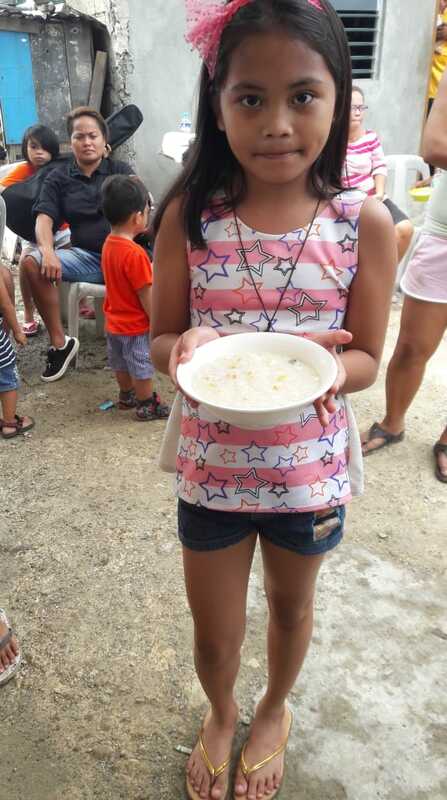 The stew contained pork, porridge, and vegetables, and we made sure that each recipient got a hefty portion! 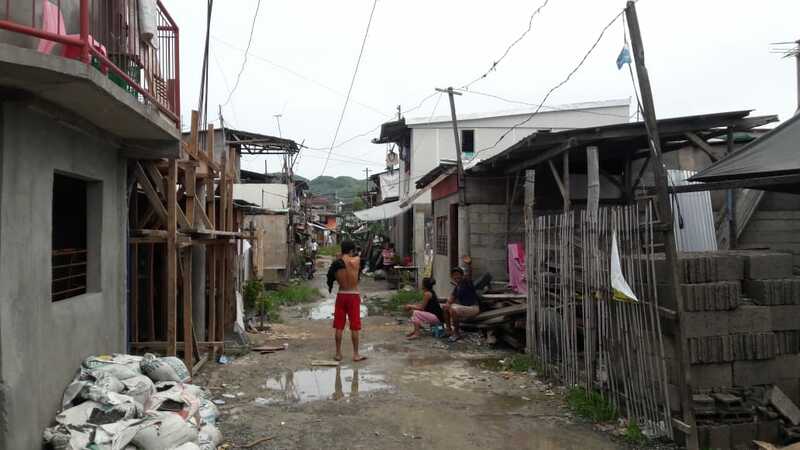 Many thanks to Joop, Racquel, and the wonderful people of Alumnos for making this mission a success. 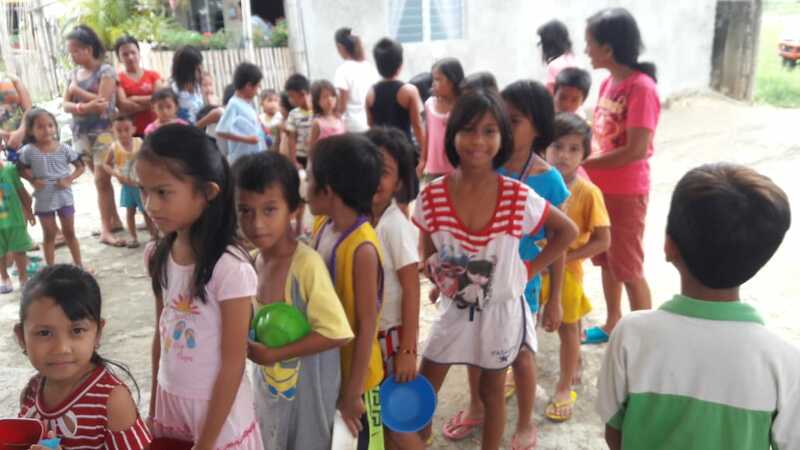 A line of happy and hungry kids, soon to be fed! 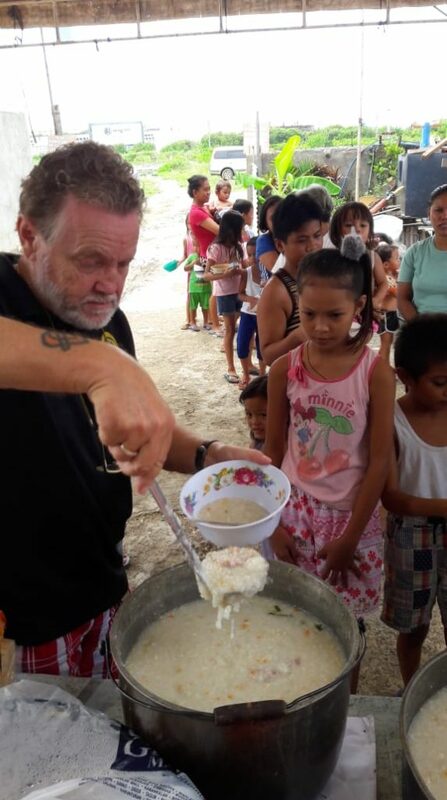 « Successful Dental Mission in Alumnos Mambaling!